Sciblogs | Where should the science funding dollars be going? A few weeks ago I headed up the hill to Victoria University to hear science and innovation minister Steven Joyce launch a document called the “Draft National Statement of Science Investment 2014 – 2024“. If you are a scientist in New Zealand, or involved in the science system, this should be very important to you. 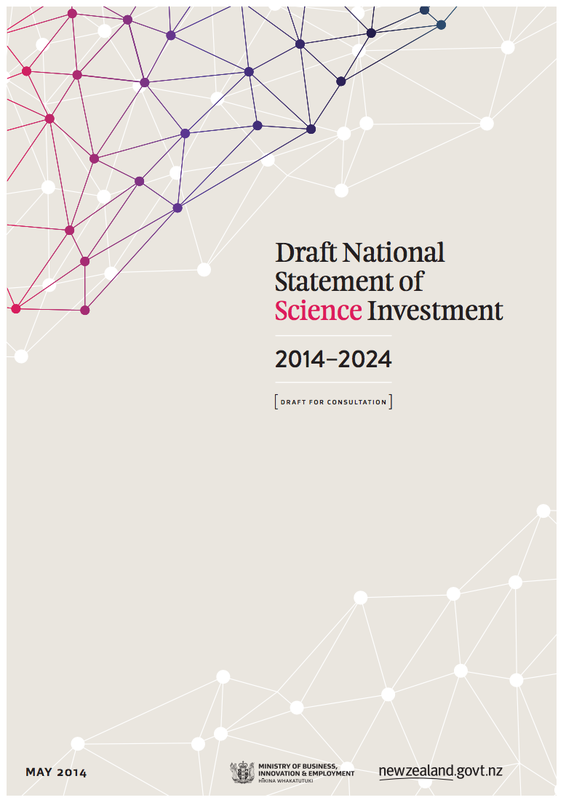 The document lays out the priorities for funding, as the Government sees them, for the next decade of public investment in science and innovation. It covers things like the National Science Challenges which are just getting off the ground, Callaghan Innovation, the Primary Growth Partnership, the Marsden Fund, the Centres of Research Excellence and business R&D grants. These are all things the Government is currently doing, and which it will continue to use as tools for investment in the next decade. Some of them are also things I hear a lot of scientists grumbling about for various reasons. Everyone seems to have a different idea about how best to leverage science dollars for the good of the country. For instance, at the launch event, one scientist told Joyce that if the Government wanted to make a real difference with its science investment it should double the size of the Marsden Fund which is funded to the tune of around $52 million a year. Joyce said that may well be true, but the case would have to be well made because it would require the funding being taken from some other area of science investment. Well, at the moment we have the chance to make that case or any other case for science investment. The “draft” in the document title means that the strategy for the next decade isn’t yet set in stone and everyone has until August 22 to give feedback on it. The feedback form is available here – fill it out and get it back to MBIE to have your say. In addition, next week I’ll be chairing a panel discussion here in Wellington on the future of New Zealand science funding featuring some pretty experienced and opinionated people giving their views on where science funding should be invested. Does investment in science influence society? Can we really expect it to meet New Zealand’s economic, social, environmental and cultural needs? Is it the level of investment or the areas in which the investment is made? On 22 August consultation closes on the government’s draft National Statement of Science Investment, a document that sets the scene for a discussion about New Zealand’s science funding strategy for years to come. What does this mean for scientists and the average New Zealander? Join SCANZ for a panel discussion that will examine the issues from a range of viewpoints. The Government is seeking a wide and open discussion about the shape of New Zealand’s science system, so come along and be part of the conversation. Dr Ian Ferguson, Departmental Science Advisor at the New Zealand Ministry of Primary Industries, with a joint appointment with Plant & Food Research.